There is one body, and one Spirit, even as ye are called in one hope of your calling; One Lord, one faith, one baptism, One God and Father of all, who is above all, and through all, and in you all. The Lord’s church is described as his body (Eph. 1:23). Christ is the head of that body and directs where it should go through his words in the Bible. The body is one. The Bible teaches that all Christians are to united in this one body. Divisions in the one body oppose God’s will and are contrary to the Scriptures. We strive to unite all believers as one by throwing away all human traditions and opinions and by teaching the Word of Christ, the head of the body. The Holy Spirit guided the men who wrote the Bible and gave them the words that they wrote (John 16:13). The Spirit reminded them of what Jesus had taught them and taught them new truths as other problems arose (John 14:26). 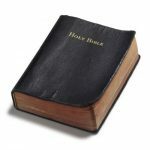 Since one Spirit gave us the Bible, the Bible should contain one meaning that we can all understand. We should not read the Bible as if it was written by different spirits with different ideas. We should read the Bible as a unified whole with one meaning that the one Spirit intended for us all to learn. Jesus is the hope of all the world (Col. 1:27). No other person can offer what Jesus has offered to us all — life. While other hopes may fail, the hope that Jesus offers remains constant and true. This one hope is offered to all, so all people of all races, nations, and backgrounds need Christ just as much as everyone else (I John 2:2). Jesus entered this life as a humble child, born in the stables of an inn at Bethlehem, but when he left this earth, he was made Lord of all (Acts 2:36). Faith is not a leap in the dark, a guess, or a hunch. Faith is a conviction based on evidence (Heb. 11:1). Faith does not come from personal experiences. It comes from God’s word (Rom. 10:17). 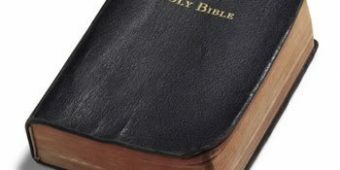 When the Bible was finished, it revealed once and for all what we should all believe (Jude 3). It offers evidence and reasonable proofs for all of its claims. The one faith is the faith revealed in the Bible that we all should share. Baptism is immersion in water. It is compared to being buried, where the old you is put into a grave and a new you is brought up again, just like Christ was resurrected (Rom. 6:3-4). Baptism saves us (I Pet. 3:21). Baptism is where we put our old way of life to death and God forgives us of our sins (Acts 2:38). Baptism is how we enter into the blessings offered by Christ (Gal. 3:27). By putting the one baptism in this list of fundamental principles, the Bible is teaching us how important baptism truly is. The Father wants us to offer him the worship that he deserves (John 4:24). He does not expect extravagance, just simple sincerity. He wants us to worship him in the way that he has commanded, because he is God and he deserves that much from us. When we worship, we keep our worship simple and in accordance with the instructions God has given us in the New Testament. We do not add anything or take anything away.